So, you’re heard about the Paleo Diet and want to learn more. It’s been one of the most popular diets to hit the printers in the last couple of years. So, let’s take a look at what all the excitement with the Paleo Diet is all about. First, it was designed to go back in time and follow a diet and eating pattern similar to our forefathers. No fast food restaurants back then. Back then you consumed whole foods fresh off the tree, bush or from the ground. And any animals you could capture and kill. The lifestyle was much more active, gathering fresh food and moving around when supplies would diminish in a certain area. The Paleo Diet focuses on eating all natural foods without any processing of the foods. When our forefathers ate, they consumed only natural foods, certainly the food was not processed. Not 10,000″s of years ago. No refined sugar, maybe some honey once in a while. 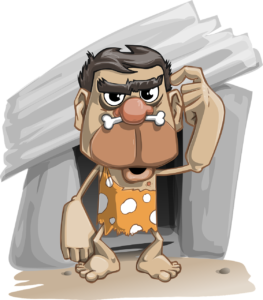 The Paleo Diet is composed of the same foods that were consumed by our forefathers many, many years ago. This diet consists of fresh fruit, fresh vegetables, meat, fresh fish, seafood, if you lived near the ocean, eggs, and nuts. It’s been referred to as the Caveman Diet, The Primal Blueprint and many other names. But, basically they all follow a similar trend. No Carbs or very low carbs. Very similar to Atkins Diet and Southbeach Diet because it’s very low in carbohydrates. And that is a good thing. Carbs are the enemy, not only making it harder to lose weight, but also for what is bad to put into your body, for your overall good health. As long as you continue to eat carbohydrate laden foods, you will never resort to your fat cells for energy and the weight will not budge. That’s why it’s so hard to lose weight in a conventional low-fat diet. Your body will use glucose and glycogen first, and then turn to burning the fat. As long as you’re using natural fats for energy by keeping your carbohydrate intake low you are on the right track. No calorie counting with the Paleo Diet. Good, I hate to count calories, don’t you. I also hate to measure every morsel I put in my mouth. So time-consuming and I’m never accurate, I tend to have a heavy hand. But, counting calories is only half the battle, what goes into your body is just as important. If you ate 4 bowls of ice cream in a day and that was all you ate, you might not have consumed too many calories for the day, but what about the nutritional value and what is all that dairy doing to your system? There’s certainly not a lot of nutrients in that meal plan. 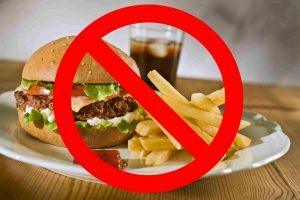 So, I think you have to start eliminating certain types of foods from your diet and you will be a lot healthier and also thinner. And that’s why the Paleo Diet is so beneficial. So, get on board and let’s start eating right and get healthier. I have heard of Paleo diet but I do not really know much about it . Reading this has enlighten me more on what it is like and I think I am interested in this because i discovered no calories and I think this is good . Thanks for sharing this information because this has given me an insight in what to expect from Paleo diet. My daughter suffers from an aggressive form of rheumatoid arthritis. She was diagnosed in her early 20’s while attending college. For two years she placed herself on a strict paleo diet (she’s very self-disciplined) in the hopes it would help. In the end, she just wasn’t seeing enough improvement of symptoms to make it worthwhile. I view Paleo as a good method for cleansing slowly over time but certainly not a lifestyle. I think the biggest benefit is that it allows you to get off the sugar. Americans are way too addicted to sugar because it comes in many different forms and it’s in almost everything. To this day, I avoid processed sugars (stick mainly with Agave) and foods. I like to know what goes in my food. Good info here, thanks! Great and highly informative post, I have heard about the paleo diet plan over a couple of times and people who followed the diet strictly always give testimonies about amazing weight loss within a limited time. I fancy the concept of imitating foods eaten in the days of our forefathers but I will find it hard to drop off diary products and potatoes from my diet list.